A new software update is rolling out to Samsung Galaxy S8 and S8+ devices around the globe. Weighing in at 453.72MB, the new update packs the June security update and a few changes to the navigation bar. For security reasons, Samsung doesn't specify which vulnerabilities were exactly addressed. However, the changelog mentions that a total of 119 Common Vulnerabilities and Exposures (CVE) related to the Galaxy S phones and Android have been resolved. As for the navigation bar, there is some good and bad news. A new dot icon has been added to the left. It allows users to hide the navigation bar from the screen, which can be useful in certain situations. Alternatively, one can also lock the nav bar into place, but this function currently doesn't work when you're using a third-party app such as YouTube in full-screen mode. 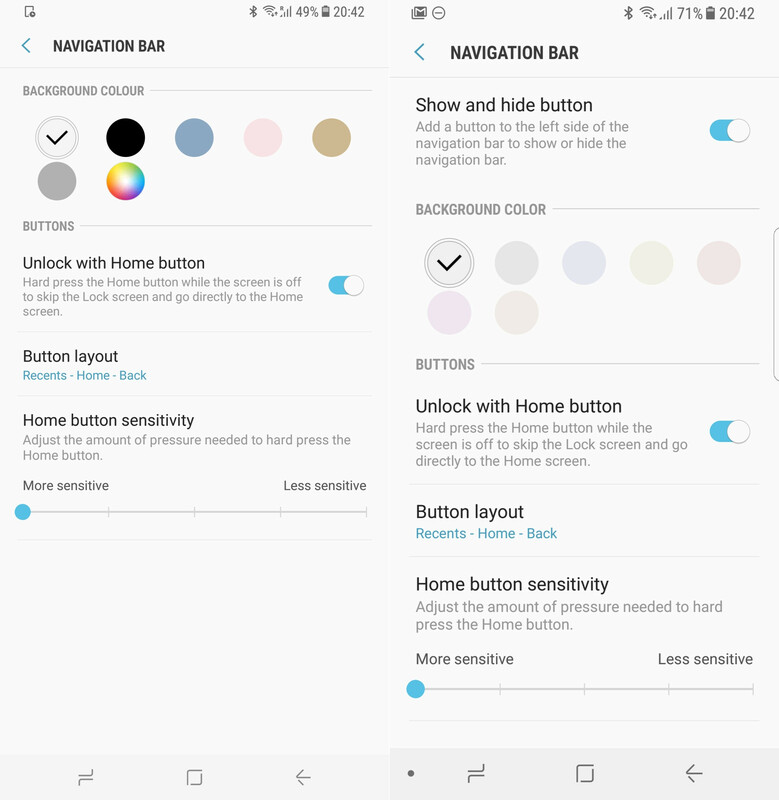 For some reason, Samsung has also decided to restrict the background color options for the navigation bar. You can't really choose an all-black background anymore, and the RGB scale which allowed users to set a custom background hue disappeared. While this change probably won't cause anyone to grab a pitchfork in anger, we can't help but wonder what's so bad about giving people more to choose from. After the update, the background color has been reset to default, but you'll be able to adjust it by going to Settings > Display > Navigation bar. Finally, the patch notes also read that the quality of Panorama images has been improved. The new update should bring the build number up to G955FXXU1AQF7. It is available OTA, but it might need some time to reach all compatible devices. As always, make sure that your phone is charged and hooked up to Wi-Fi before proceeding with the patch. Source ? And if so , any reason for it ? This article failed to mention that the reason was fear of screen burn-in, which is why the colors are no longer solid and bold. Uniformity. Android has design guidelines so I guess that's it. 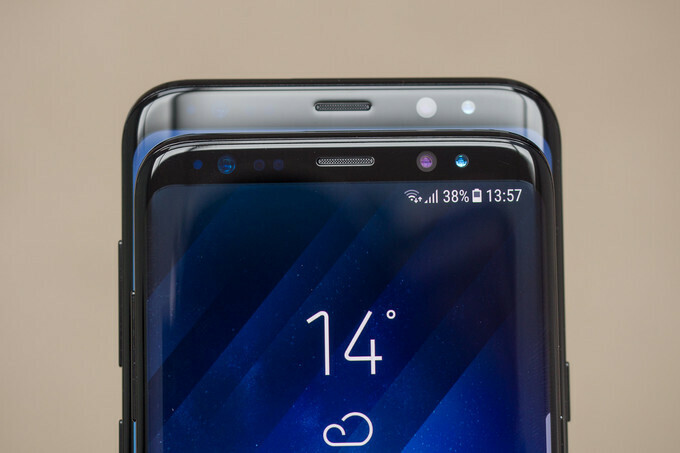 choosing a color for the nav bar is useless, you only see the color on some Samsung apps for the rest of the apps its just black.